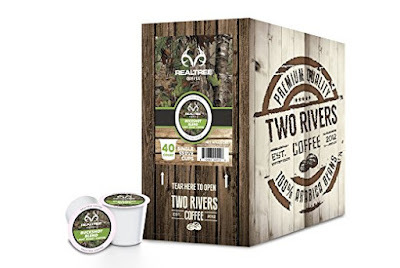 This is a sponsored conversation written by me on behalf of REALTREE coffee. 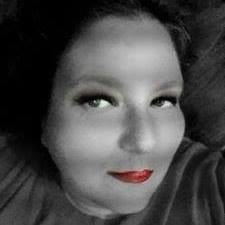 The opinions and text are all my own. There are few things for know for sure growing up southern - we love our camouflage, there is nothing like a good cup of coffee, and dads are the best! We are thrilled to team up with REALTREE Buckshot Blend to wish all dad's a Happy Father's Day! My dad loved coffee, it's how he started every morning. As a child, I can remember how good the smell of brewing coffee was to me. It would always tickle me when the adults would let me have a cup. Mind you, it was more cream and sugar than coffee but still, I loved it. These days I brew my coffee one fresh cup at a time. 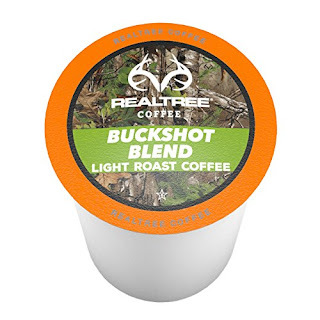 I also still enjoy my coffee on the lighter side, so I have really enjoyed the REALTREE Buckshot Blend selection. 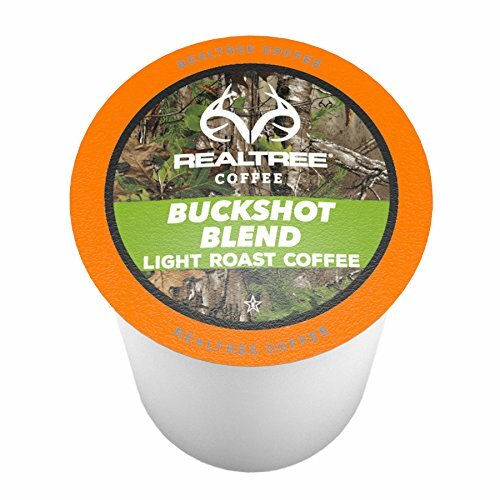 The Buckshot blend comes in a 40 count box and you can find it on Amazon for $24.40. The Realtree Buckshot Blend is made from 100% Arabica beans. It is lightly roasted, so the coffee has a light-bodied flavor that offers a rich, smooth taste. What I liked most about this blend is that even though it's a light roast it still brings the flavor without the bitter after taste that some darker roast has. Don't let this light blend fool you, it tastes great brewed over ice and is perfect for summer. 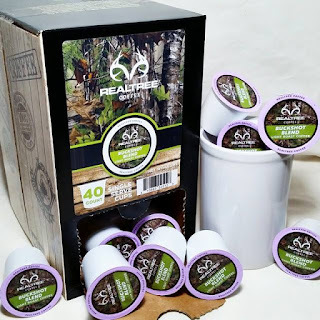 Make sure to enter for your chance to win a box of REALTREE Buckshot Blend!